I love making these pretty bath bombs at home and it is a fun project to do with kids, tweens or teens. These bombs make great affordable gifts for a variety of ages or they are fun treats to use at home. It is so much fun to experiment with different scents and colors to create these amazing bath fizzies. I love adding body glitter to add some sparkle or other decorative sprinkles. My young teen daughter loved helping me with this project and she is already planning to make these as treats for her friends. I was surprised how much my young boys loved using these bombs too! Finding the ingredients for bath bombs at your local brick and mortar stores can be pricey and challenging, so we have compliled some resources on how to find quality bath bomb ingredients at a great price and they will come right to your doorstep. It takes an initial investment for some of the molds and oils, but you will end up with ingredients to make lots of bombs at an affordable price. Make sure to order a good amount of supplies so you have plenty to experiment with. There are so many recipes out there on the internet for bath bombs, but I have found this recipe, which includes the addition of skin-softening kaolin clay to create durable bombs that can easily be gifted without breaking. Plus, kaolin clay is great for your skin and has other household uses. Creating bath bombs takes a little practice, but it is a great project for both beginner and advanced crafters. I will say my first batch wasn’t the best, but my kids were thrilled to use my flopped bath bombs and they fizzed just the same. Just be sure to order plenty of ingredients so you can experiment. Once you get the hang of it, making bath bombs is so much fun! Be sure to read all the directions and tips before making your DIY bath bombs. Scroll down to find my favorite recipe, tips, and directions on how to make your own bath bombs. Citric acid is the main ingredient that will make your bath bomb fizz and I love that it is both all natural and also used in the food industry. It can be pricey in your local store, but I buy it in a big 5 lb bag and if I order other items with it, I can get it shipped at an affordable price for free. It also has other uses such as for cleaning toilets, descaling your coffee machine, unclogging drains and cleaning the inside of your dishwasher. Store it in an airtight container to keep it fresh. Coconut oil has so many great uses in the kitchen and it is also a great softening oil for your skin. You may also love cocoa butter to use as an oil in this recipe. I used coconut oil in my bath bombs, but you may like to try one of these other oils or butters in your bombs. Solids should be melted for a few seconds in your microwave to liquify them for use. Kaolin Clay is often used in bath products or in mineral makeup and it will soften your skin. Plus, it also makes your bath bomb harden properly so it won’t break. There are so many great fragrance oils available. I had fun ordering the scents that my kids would love like vanilla ice cream, cotton candy, toasted marshmallow and pink sugar from Chelsea’s. I included information on how to order from Chelsea’s, plus some other types of fragrance oils. Be sure you check the size of each bottle that you are buying. I found that each 1/2 ounce bottle will work for two batches of these bath bombs. You can buy these fragrance oil in sets or individually. I bought several bottles so I could make multiple batches. These oils can be used for other DIY skin and body projects as well. I prefer stainless steel bath bomb molds myself. They are more durable than the aluminum molds and they don’t have a chemical reaction to your ingredients. They also clean easily and don’t retain the scent of your oils. I mold them one after another and let my bombs dry in a muffin pan covered in plastic. Plastic molds can also be bought in large packs. Some people like to let their bath bombs dry in their molds and this way, you have lots of molds to use. Molds also come in a variety of sizes. I prefer the medium to large size for larger bathtubs like this 2.5 inch mold that I used in my project. I love putting body glitter in my bath bombs for that princess effect. When your bomb fizzes in the water, a light layer of glitter floats on the surface. It is both fun and pretty! Body glitter comes in teeny bottles, but I have found that it lasts a while. I like sprinkling it in the mold first and then packing in my mixture. That way it is on the top of the bomb. I used the Wilton Color Right System to color my bath bombs. There is a brochure included on how to achieve different, hard-to-mix colors and it was very helpful, plus each bottle lasts a long, long time. It took about 45-50 drops of color to achieve vibrant colors. If you are splitting the recipe in half and doing marbled coloring, I did about 25-30 drops of each color in the proportions listed in the brochure. You can also use more “professional” products to color your bombs called mica colors. Mica is similar to coloring that is used in eye shadows. Make sure you set out everything you need within arm’s reach so you can mix quickly. Measure your citric acid, baking soda and kaolin clay and place in your strainer over your bowl. Use a wisk inside the strainer to break down any lumps. Take your wisk and thoroughly mix your dry ingredients. If your oil of choice is solid, melt it for a few seconds in the microwave. In separate, small bowl mix the oil and fragrance oil together. **If you want to make two-colored bombs, you can divide your dry ingredients evenly in separate bowls and divide your wet ingredients into separate bowls. ** If you choose to divide, you will have two bowls of dry ingredients and two bowls of your oils. Add your coloring to the wet ingredients and wisk. Get your witch hazel handy and put on your disposable gloves. Use one hand to slowly add your wet ingredients to your dry, only a few drops at a time (so that your mix does not fizz), and use your other hand to knead the mix. Once all of your oil and color mixture has been added, keep kneading. Spray a few spritzes of witch hazel in at time until you get the perfect texture. If you live in a dry climate, you will need lots of spritzes. If you live in a humid climate, you won’t need as much. Your mixture should be like wet sand. Squeeze a handful together and if it stays formed, it is ready. If it cracks, it is too dry. If you are doing two colors, repeat for the second color until you have two bowls of colored mixture, the texture of wet sand. If you are using sprinkles or body glitter, put a little bit into one side of your mold. Pack each side of your mold with the wet sand mixture, until it is mounded and overflowing. If you have two colors of mixture, I alternate layers of colors in my mold for a fun effect. Press together. 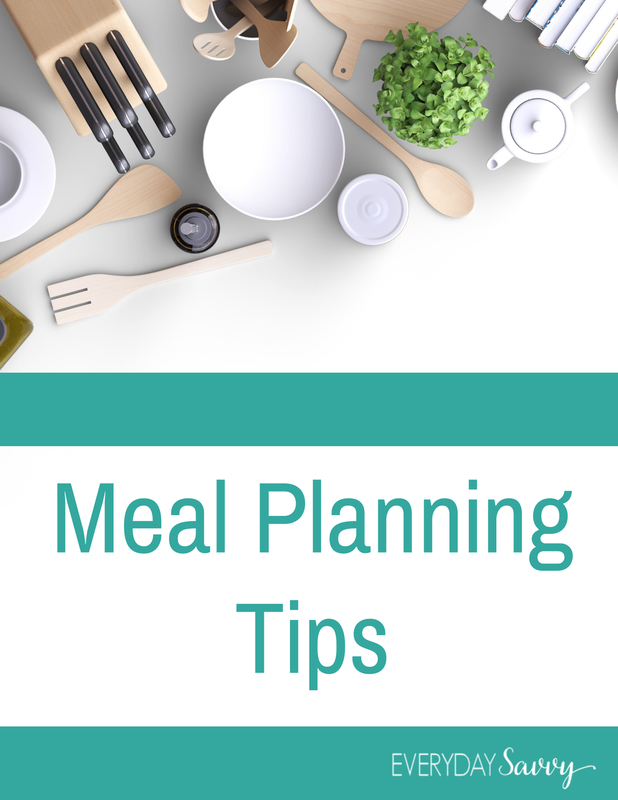 If you are using a stainless mold, you can remove immediately and place on a muffin tin covered with plastic wrap. If you prefer to have multiple plastic molds, fill and leave for a few hours, then gently tap on the mold to remove. Allow your bombs to dry a full 24-48 hours and then place in an airtight container or airtight bag. Sift all of your dry ingredients to removed clumps. Any clumps in your dry ingredients causes warts and lumps in your bath bombs. I use my wisk to push the ingredients through the sieve. It makes the dry mix sift quickly. Use a wisk to thoroughly mix your dry ingredients until they are well-blended. If you are dividing your ingredients to make two colored bombs, after your oils are mixed (no color yet! ), divide your oils into two small bowls like this. THEN, add your colors to each bowl. I used these Wilton food colors and I used about 25-30 drops of color in my divided bowls. Then I wisked the wet ingredients. Add your wet ingredients just a few drops at a time to make sure your wet ingredients don’t react with the dry. If you pour in too much wet ingredients at a time, it will remove the “fizz” from your bombs. Use your gloved hands to bury and mix the drops of wet. After all the wet is mixed in, start spritzing your Witch Hazel, just 1-2 sprays at a time and keep mixing. Too many spritzes at one time will also cause your mix to have a fizzy reaction. Your mix should resemble wet sand. Squeeze handfuls of your mix together to test it. When you handfuls no longer crack, your mix is done. If your mix is too dry, your bath bombs will crack after they are molded. If they are too wet, then will not hold their shape after they are molded and they will flatten. -Optional: Place a few drops of mineral or baby oil in your mold and wipe out excess with a paper towel. This can help your bombs unmold easier. -Sprinkle glitter or sugar sprinkles in your mold first before adding your mix so that they glitter will appear on top of your bombs. -If you are using a stainless mold, you can mold one after another. If you are using a set of plastic molds, you can leave them in your molds for 1-3 hours before unmolding. Just tap the outside of your plastic mold gently with a spoon. -Cover a muffin pan with plastic wrap to create hammocks for your bath bombs. Place each unmolded bomb in the hammocks to dry. -Allow your bombs to dry 24-48 hours and then place in an airtight container or an airtight bag. This would be a great way to involve the kids for some bonding time. Plus these would indeed make great gifts. Yes, I’m with you. My young teen had so much fun with this and now she has a bath bomb stash for nights she has time to relax in the tub after sports. How long will these last? Thank you. I would guess at least a month. They need to be kept in an airtight bag or container. What is witch hazel and where would you recommend buying it from? I have seen it at my local CVS and Walgreen’s stores or if you don’t prefer to get out an shop, you can order it right from Amazon! Does the food coloring stain your skin or the bath tub? I see so many recipes using food coloring, but I can’t seem to find anywhere if it stains. We were told the best way to avoid accidentally dying yourself is to allow the bombs to finish fizzing and then mix the fizz around! How many bombs will these materials make? Have you figured out the cost per bomb? It will depend on which molds you purchase and how tightly you pack the mixture in your mold. I used a medium-sized mold and each recipe made about 6. I’m from Canada and we can’t order witch hazel from the US! Can I replace it with something else? Thank you very much. You may be able to find Witch Hazel at Walmart or at your local drug store. If not, I have heard rubbing alcohol works as well. Any tips on avoiding a color ring around the tub? I have not run into this issue and I have made several batches, but I have heard that if you have a ring of soap scum in your tub, the color may cling to the soap scum. You can purchase and add a little bit of Poly 80 dispersing agent to your bomb recipe if you are really having an issue. It will help the color to not cling to the soap buildup and it will help the coconut oil to disperse. I linked it below. Add polysorbate 80 in with wet ingredients it helps oils and certain colorants disperse into the water instead of pooling on top water rubbing against the sides of your tub and less likely to stain. These are great! I have a problem with the bombs separating at the seam . …..what am I doing wrong? The mixture was probably just a tiny bit too dry. With one of my batches, the two halves would not stick together and it was because I need a little bit more moisture. I also had batch where the bombs cracked a bit after drying for a day and it was also due to not enough moisture. Try spraying a little bit more witch hazel in and be sure to mold them quickly, so the mix doesn’t start drying. The amount of witch hazel that you spray will vary, depending on the humidity in the air. Probably packing too tight, or you’re twisting two halves together. Keep mixture light and fluff, yet able to form clump when squeezed. Scoop up or sprinkle mix into your mold, once full poke a thumb into the mold to create an air pocket – this keeps the bomb lightweight so it floats and spins at top of the water. Then take a handful of mix and created a heap, repeat same other side and smoosh together. You should only feel a slight resistance, if you have to squeeze hard to bring together then you have over packed and can dump and redo. To unmold tap around the seam with back of a spoon and pull one side straight up & off – don’t twist or unscrew! Now for the dent test… just as over packing causes cracking, bombs that don’t float, etc, underpacking can cause misshaped bombs that dent or get flat spots while drying, to check for under packing with the dent test lightly press the top of the bomb with your finger – if it creates a dent then put a little more mix in the half of the mold you just took off and re-press together, repeat test until it no longer leaves a dent. Should be dry within 24 hours, can be packaged 24-48 hours. I absolutely love how simple, yet detailed your instructions are! I look forward to DIYing these soon! Thank you! I have not made Bath Bombs yet,so I’m not an expert, however I have read a lot on different ways to make them,since mostly marketed for Kids..I have a problem with using Citric Acid (see what it is used for, and very drying to the skin) I have read sites where they use Cream of Tartar (your take on that?) and Glitter altho fun, kids eyes, other places they can get lodged in (so I would go with the sprinkles ,good choice) .And coloring, I know for me I’m allergic to FDC Red, mostly so I don’t use anything or ingest anything the includes these in food product.. How comparable are your colorings to natural colorants? Please do not take this in anyway as negative input, I love your instructions and recipe ..all information easy to follow..Just wondering what you think about the about concerns about making them for the little ones. I have used these myself and there is coconut oil included in the recipe. My skin feels very soft and moisterized after using these. All of the major bath bomb brands also use Citric Acid (which is derived from lemons), so it is a common ingredient. Citric Acid is also used for canning foods! I have seen Cream of Tarter included in some recipes. It is not used to make bath bombs fizz, it is more used like the Kaolin Clay to harden bath bombs. The Citric Acid, along with baking soda is what makes them fizz. I also use food-grade colorings (which if you go to most birthday parties are included in the cake frosting) and really it is personal preference as to whether you are okay with colorants. They can certainly be left out, but I will say the coloring is not very intense once you add gallons and gallons of water and my kids did not have dyed skin. You also don’t have to include glitter if you think it won’t work for you. I find that the glitter floats on the top of the water and if you look at my article, it is make-up grade glitter, not craft glitter that I am using and again, once diluted in water, it is very little. Hey, thank you so much for your quick response, it gives me a different prospective on making them for Children of coarse they are mostly made for,your information is much appreciated. I will have to check that out! Thank you! FYI…Cream of Tartar is actually an acid (tartaric acid) and does create a fizz. I used it for the first time today and tested it for fizz in the sink. It may not fizz as much as citric acid but is recommended for those with sensitive skin. I was wondering if you could incorporate epsom salt into this recipe? A lot of other recipes I am finding include it so I wasn’t sure what the difference would be with or with out it. I don’t and it makes your bomb much heavier and more likely to sink in the tub. If you wanted to experiment, you could probably reduce some of the other powdered ingredients to include it. I was wondering if you have any suggestions for the best ingredient to use to “paint” bath bombs so that the color is vibrant and does not smear when packaged. The only ingredient I have read about so far is mica mixed with alcohol. Do you have any other suggestions? Also, I want to be able to add bath-safe decorations to the bath bomb–for example, paint an animal face and add 3D ears. Do you have any suggestions on what I could use for a detail such as “animal ears” (maybe thinly cut bar soap?) and what adhesive I could use to “glue” it on strongly so it stays on the bath bomb while packaged? I’m not even sure if this is feasibly or not, but I want to try and figure it out! Thanks in advance for any insight you may have! I have only heard of mica mixed with alcohol to paint bombs, sorry! I’m sure when it dries it turns partially back to powder and that is probably why it smears. I made the recipe exactly as it’s posted. It’s day 2 and I have bombs that are cracking and none of them are set up. They are all still very soft. Any recommendations of how to fix them? A few of my batches have cracked before and it was because the mix was too dry. Every climate is different and it will even make a difference if it is a rainy day! I gave a guestimate on how much moisture to add, but it definitely will vary! My cracked ones still worked great (they just didn’t look as pretty) or you can break them up to make fizzing fairy dust! As I mentioned in my article, it takes some experimentation to get it right! Thank you for getting back with me? I’m going to keep trying. I already bought little bags for the fairy dust (great minds think alike ) I live in tn so I’m thinking it has to be the humidity. Hi – my bath bombs come out of the mold great but lose their shape as they dry by going very flat on the bottom and spreading horizontally. I thought the mixture was the right consistency. Thanks so much! Hey Jan, there might be a touch too much moisture in your mix. The humidity in the air also plays a big part in how much moisture you add. I would try and back it off a little bit for your next batch. But if your mix is too dry then they sometimes crack or have a rough time coming out of the molds. I also recommend taking a muffin baking pan and placing plastic wrap over it to create little hammocks for your bombs to dry on. I have just started making bathbombs it took me a while to get the right recipe my bathbombs use to crack in the middle the next day I was very upset but now I’m happy. I have heard some people put their bath bombs in the fridge or freezer to set them quicker. Have you ever tried this? I have not! Just remember, any moisture can affect the bath bombs, so I probably wouldn’t try that for fear the bath bomb would start fizzing.